MILL VALLEY, Calif., Dec. 15, 2016 /PRNewswire/ — Glassdoor‘s chief economist, Dr. Andrew Chamberlain, today revealed the five biggest jobs trends to watch in 2017 along with the five hiring trends that defined 2016. The insights come as part of a new Glassdoor Economic Research report, outlining Chamberlain’s 2017 predictions for the U.S. labor market including why automation will start to affect all jobs in 2017; why the gig economy has hit its limit; how data science will transform HR and recruiting; and more. Data Science Will Transform HR into “People Science”: Data science has revolutionized nearly every industry – except HR and recruiting. In 2017, with easy and low-cost data analytics tools for employers, an industry that can benefit from data will finally start to catch up. The Gig Economy Will Reach its Limits: The gig economy has been big news over the last year and many expect it to pick up in 2017. However, though many jobs are ripe for gig workers, the majority of the workforce of 2017 and beyond is moving to higher-skilled roles that require creative judgement and long-term relationship building. Automation Will Impact All Jobs – Not Just Drivers: Jobs across all industries will begin to feel the effects of automation – especially truck drivers and taxi drivers in 2017. Automation is not going to destroy jobs, but will require workers to upskill and employers to focus on training programs to help employees develop new skills. Employers Will Take Action Against the Gender Pay Gap: With the shift to pay transparency that unfolded in 2016, more employers will take action against the gender pay gap by doing analysis to understand the gap in their workforce and correct it. Employers Will Shift Away from Flashy Benefits Packages: Employers offering employees flashy benefits like free lunch and dog friendly workplaces – led in large part by the tech industry – have reached a tipping point. In 2017, employers will pull back on flashy benefits because research shows more traditional benefits like 401(k) plans and health care coverage impact employee satisfaction most. A labor economist by training, Chamberlain has a unique view of the labor market due to the wealth of data publicly available on Glassdoor. This includes millions of job listings alongside company reviews, salary reports, interview reviews and benefits reviews for more than 600,000 companies. Glassdoor data offers a look inside the job market from the perspective of job candidates, the employees and employers – providing a pulse on the economy at a time of change and uncertainty as the U.S. enters a New Year and as a new administration begins in January 2017. To read the full Glassdoor report, Looking Ahead: 5 Jobs Trends to Watch in 2017, including a look into the hiring and labor market trends that defined 2016, visit Glassdoor Economic Research and the Glassdoor blog. 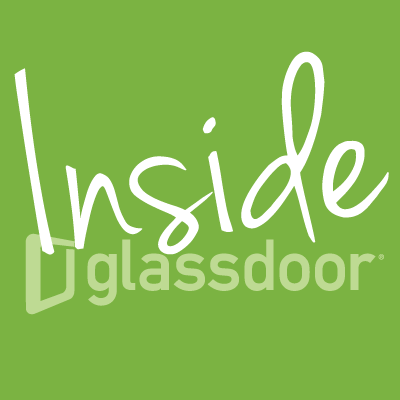 EMPLOYERS: Register for the Glassdoor webinar, Talent Trends to Watch for in 2017, to hear from Chamberlain, Glassdoor’s head of employer brand, Kirsten Davidson, and other experts about what to expect in hiring, recruiting and employer branding in 2017 and beyond. INTERVIEWS: Glassdoor chief economist, Dr. Andrew Chamberlain, is available to speak to the labor market trends he outlines in the full report. Glassdoor’s head of employer brand, Kirsten Davidson, is available to provide commentary and best practice advice as to how companies can leverage upcoming jobs trends to support their employment brands and recruiting efforts. Please contact pr@glassdoor.com to speak with a Glassdoor spokesperson. ← Will office romance affect my devotion to career growth?